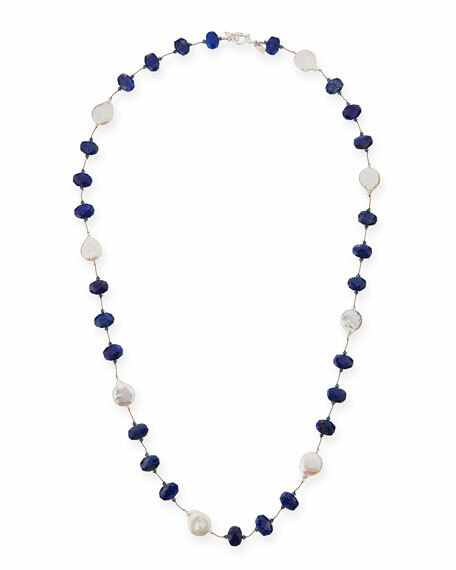 Margo Morrison New York long necklace. 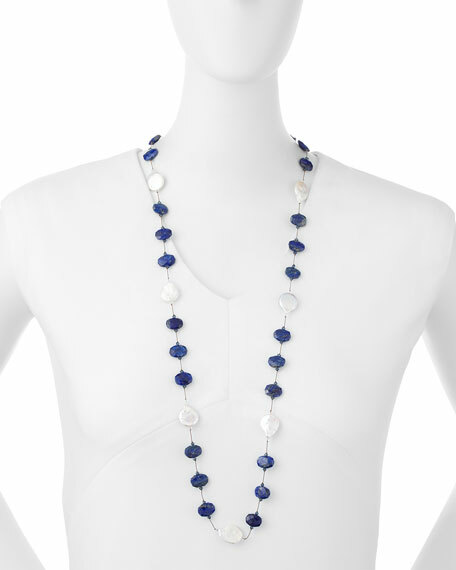 13-15mm bleached cultured freshwater coin pearls and faceted lapis. For in-store inquiries, use sku #937744.